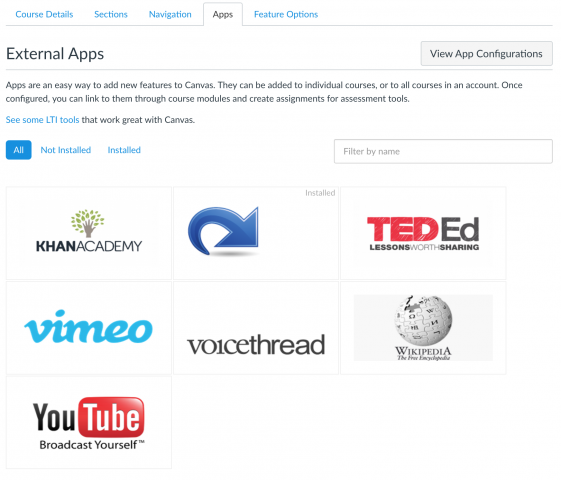 External apps are an easy way provide additional functionality in a course. Click Settings in the course navigation. Click and drag the external app you wish to enable from the bottom list (hidden items) to the top list (enabled items), and drop it in the desired position. Repeat these steps to enable additional external apps, as desired.